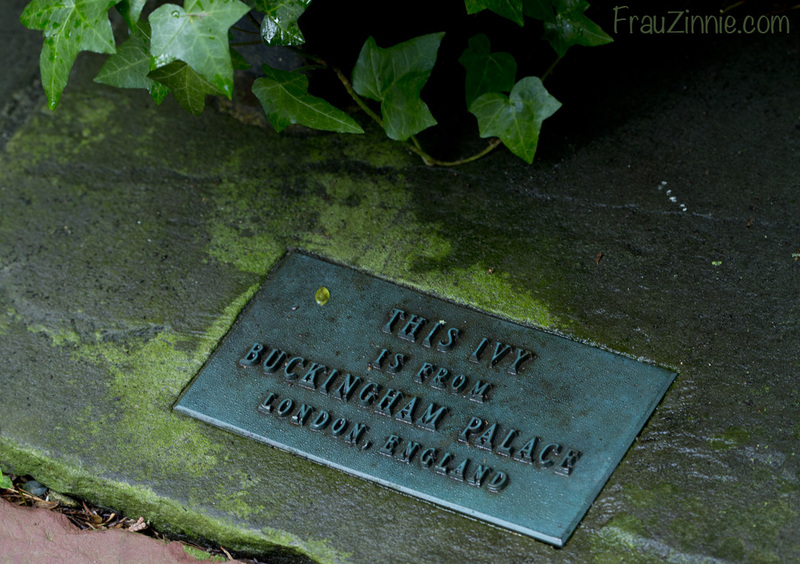 WASHINGTON, D.C. — "This ivy is from Buckingham Palace." It was stated matter of factly in small caps typeface. I squinted at the plaque to get a better look. Beneath that statement was London, England, just in case the visitor questioned its authenticity. 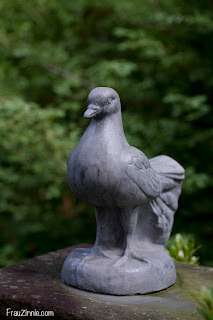 Found along the Friendship Walk of Hillwood Estate, four of us gathered around. Suddenly the English ivy felt more proper — as if we were actually in the presence of royalty. One of the garden bloggers tentatively reached out and caressed the leaves. Quickly, she yanked back her hand. "I touched it!" she exclaimed gleefully. On a humid morning in late June, two tour buses containing a contingent of horticultural enthusiasts descended upon Hillwood Estate, Museum and Gardens. 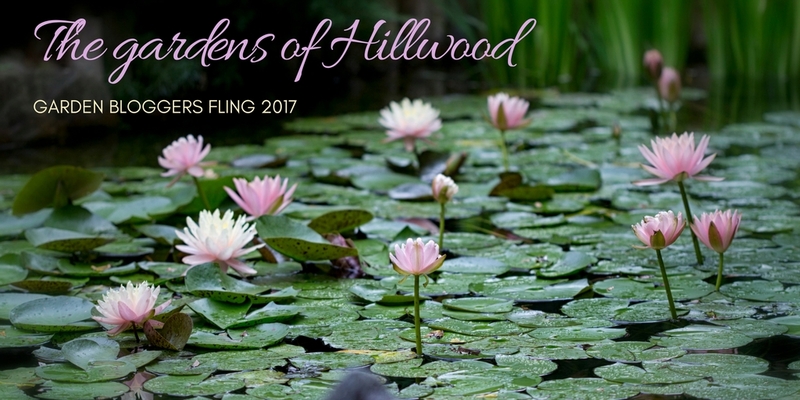 Hillwood was the first stop on the first full day of the 2017 Garden Bloggers Fling, with only a few morning hours to spend on the lavish estate of Marjorie Merriweather Post, the heir to the Post cereal empire. She bought Hillwood in 1955 and later made her new home a museum to inspire and educate the public. 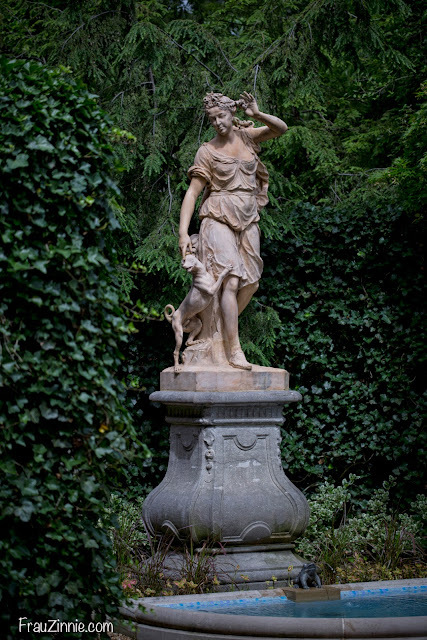 Brian Barr, director of horticulture at Hillwood Estate Museum and Gardens, confirmed that the ivy did indeed originate from Buckingham Palace. After World War II, the ivy clippings were used to fundraise. "It was a gift from a friend who helped fund the Friendship Walk," he said. The Friendship Walk was created by Post's friends, who secretly worked with the chief gardener and landscape architect Perry Wheeler to make it a surprise for Post. To honor Post's 70th birthday in 1957 — and recognize her philanthropic contributions throughout her life — her friends unveiled the secluded walk, which offers spectacular views of azaleas and rhododendrons in the spring and is shaded by magnolia and crape myrtles in the early summer. "It is predominately a spring garden," said Barr. "She was here in the spring and fall." No matter the season, the gardens still offers up blooms in the cutting garden during the summer and scenic views in the Japanese-style garden all year long. "We sit on 25 acres: Twelve and a half is the garden proper, and the rest is woods," he said. "The woodland trail is where she walked during her time here, and it reopened six years ago. We recreated the woodland path off the trail." Sixty percent of the land borders Rock Creek National Park. While Post resided at Hillwood, she collected what she liked. The current exhibit, Spectacular Gems and Jewelry, runs through January 2018 and features more than 50 pieces from Post's jewelry collection. The Russian Sacred Arts Gallery found inside the mansion features more than 200 Russian pieces that Post saved back when the Soviet Union was destroying religious artifacts. 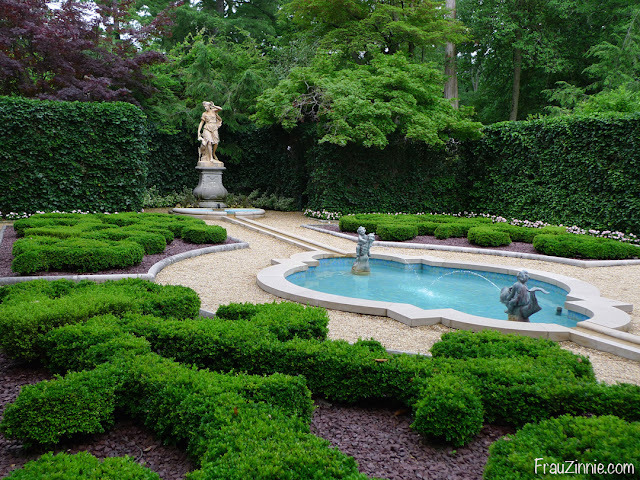 The French Parterre, which lies below Post's second floor bedroom suite window, includes English boxwood shaped into scrolled patterns and Diana, Goddess of the Hunt, as the main focal point. The entire garden room is secluded with ivy-covered walls and is designed to capture the feel of a small formal garden in the eighteenth century. Diana, Goddess of the Hunt, in the French Parterre, was part of the design originally created by Chi Innocenti Webel, who would have placed it in the garden. Back on the Lunar Lawn is Leo the Lion. "He is said to possibly be from Old Somerset House," said Barr. "He has a crown on top and a full-on mane. 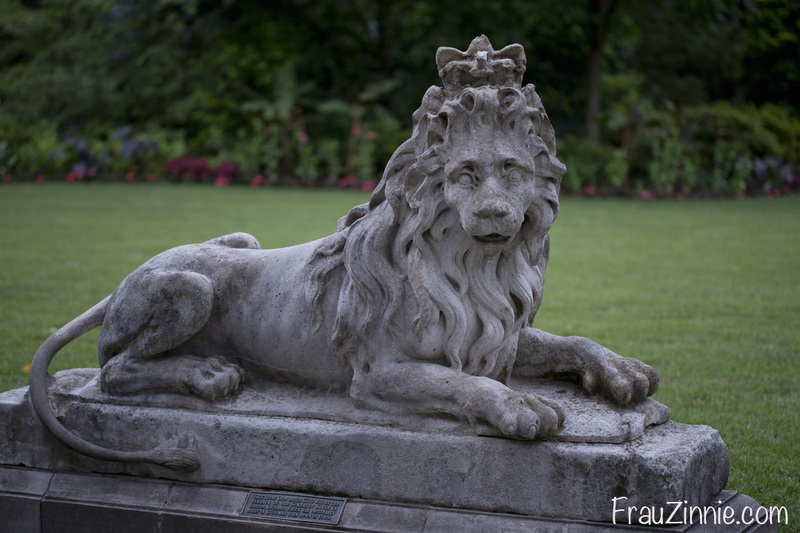 He was restored in 1966." The Japanese-influenced ornaments brings me to the next highlight. This garden, carved into a sloping hill, was instantly popular with many garden bloggers the day of the visit. It featured an impressive water lily collection, fountains and ponds complete the sounds of gentle, moving water, and various scenes that led to interesting perspectives. 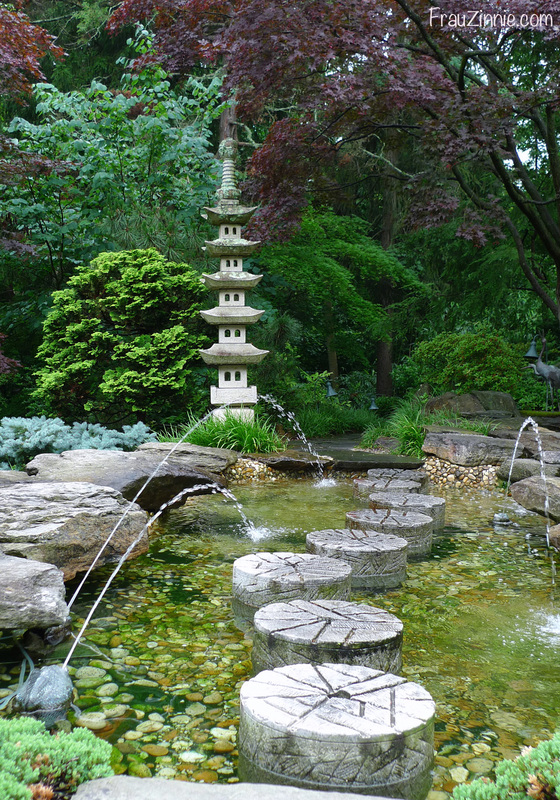 The sun was strong for a Friday morning, but the Japanese-style garden offered a reprieve with its partly shaded water features. This month is Japanese-Style Garden Month at Hillwood, which includes the flower festival of Tanabata, also known as the Japanese Star Festival. 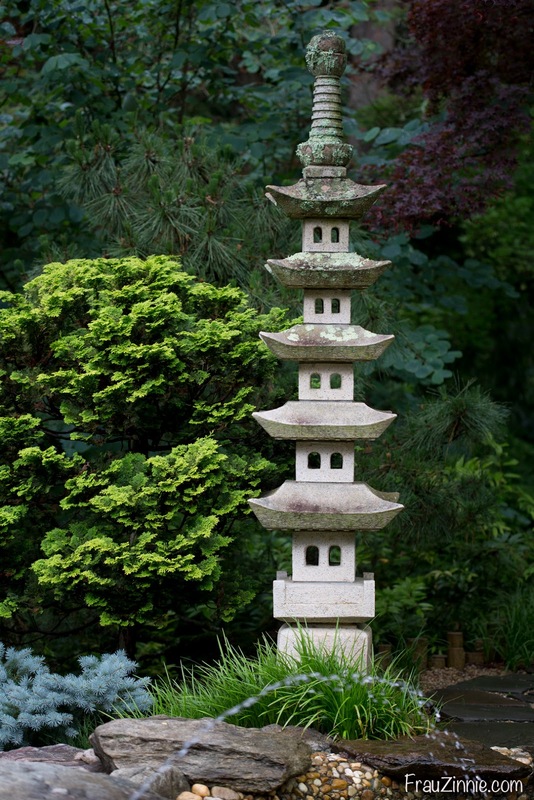 "We are doing tours this month to put a light on the Japanese-style garden," said Barr. The landscape architect who installed the original version of this garden was Shogo Myaida. Sixteen years ago the garden was totally restored by Zen Associates in Boston, Massachusetts. "When it was built in the '50s, they didn't use reinforced concrete," Barr said. During the restoration, the ponds were also updated. Even with the modern updates, the original design of the garden was preserved. 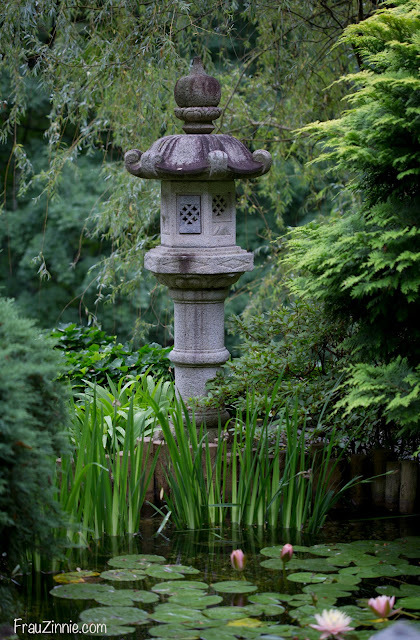 Stone lanterns along the pond filled with water lilies complete the look. A dahlia found in one of the many gardens. 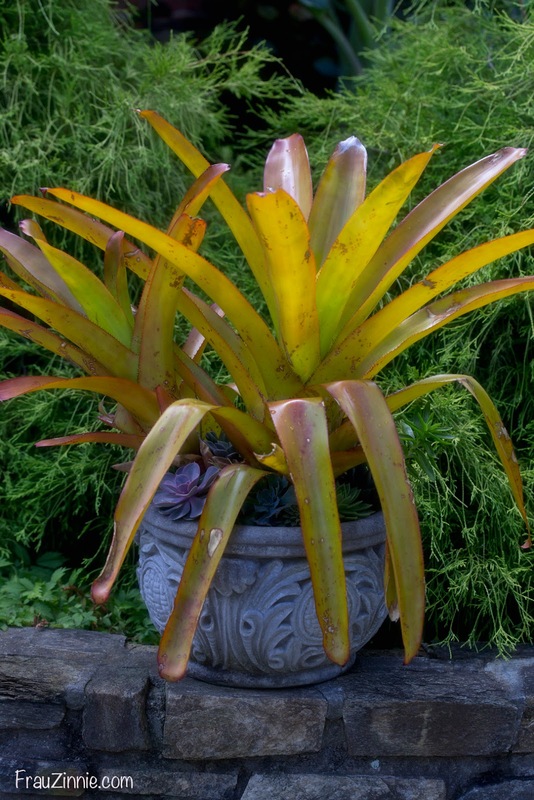 According to Barr, some of the plant combinations created by Jessica Bonilla, head gardener at Hillwood, tie in to the tropical feel influenced by Mar-a-Lago in Palm Beach, Florida. The design combinations used at Hillwood are from various influences, including visits to other gardens and "building upon what works." 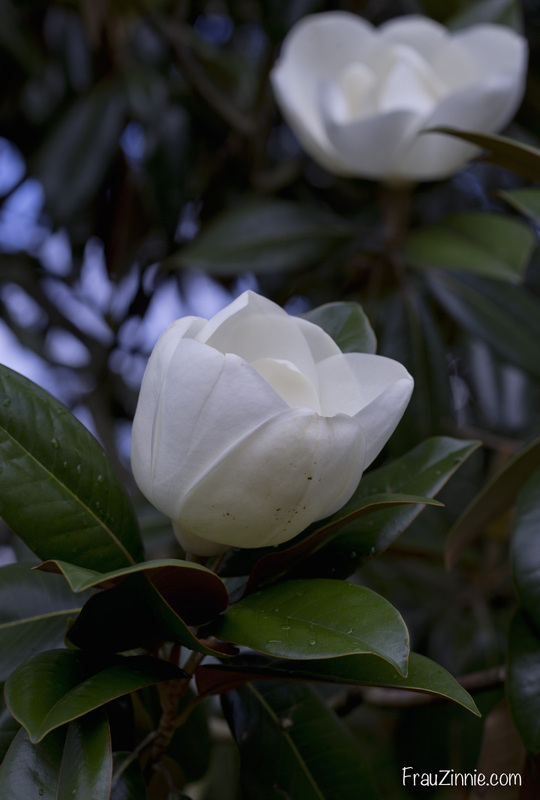 For a glimpse into the planning of garden beds, one example included the garden created with mandevilla as an influence. The pink-themed design included dragon-wing begonias and licorice plants. 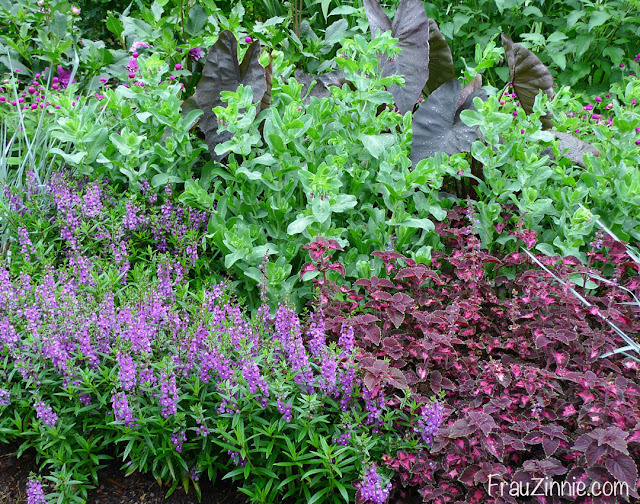 Working with plants in other gardens naturally also influences plant choices at Hillwood. For example, Drew Asbury, horticulturist and volunteer manager at Hillwood, wanted to use big leaf tibouchina after working with it in another garden. Tropical plants combinations are influenced by Mar-a-Lago in Palm Beach, Florida. Tropical plants combine with succulents for a unique container garden look. Even the table decorations by the eating area are thoughtfully created. 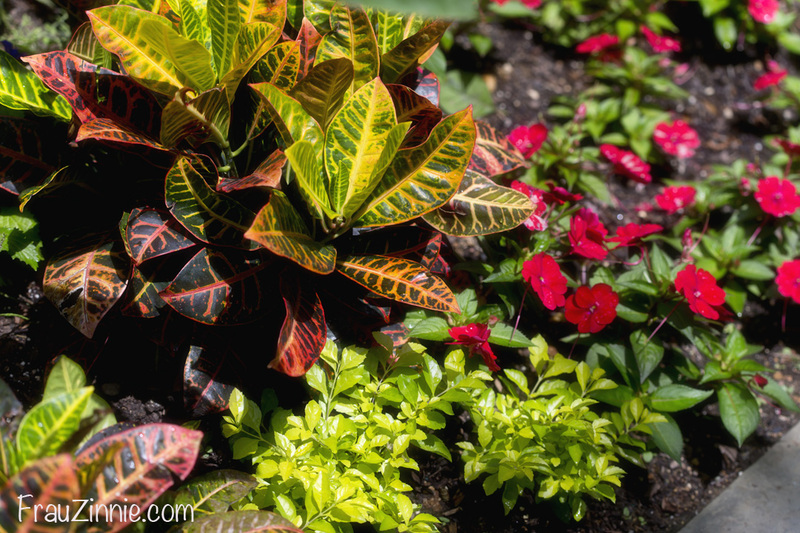 Bold colors make for interesting bedding choices at Hillwood. 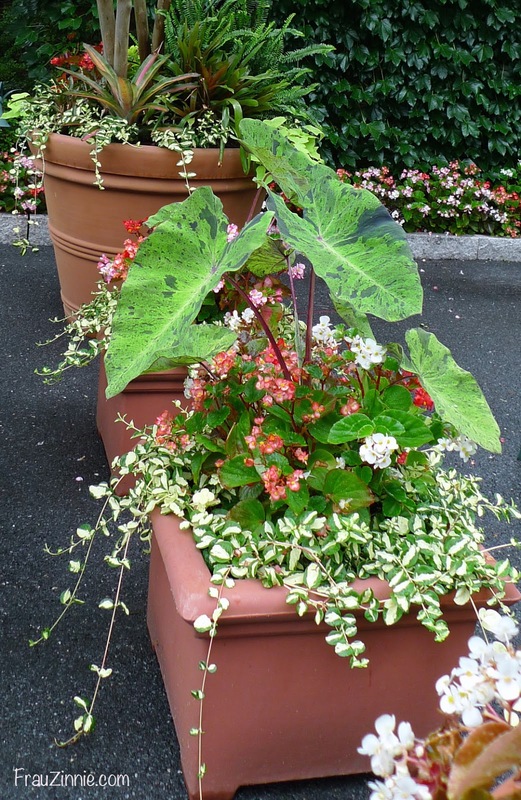 Containers used varied plantings to create a tropical feel. My friend (and garden pen pal) Angie and I discovered the cutting garden just before the buses arrived to whisk us off to our next location. 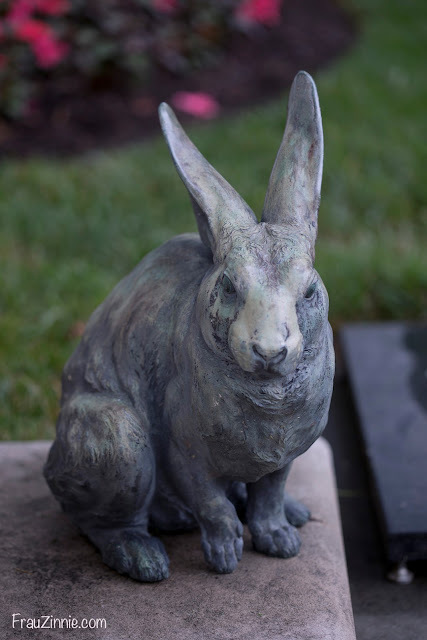 This domain is the work of Drew Asbury, horticulturist and volunteer manager at Hillwood. 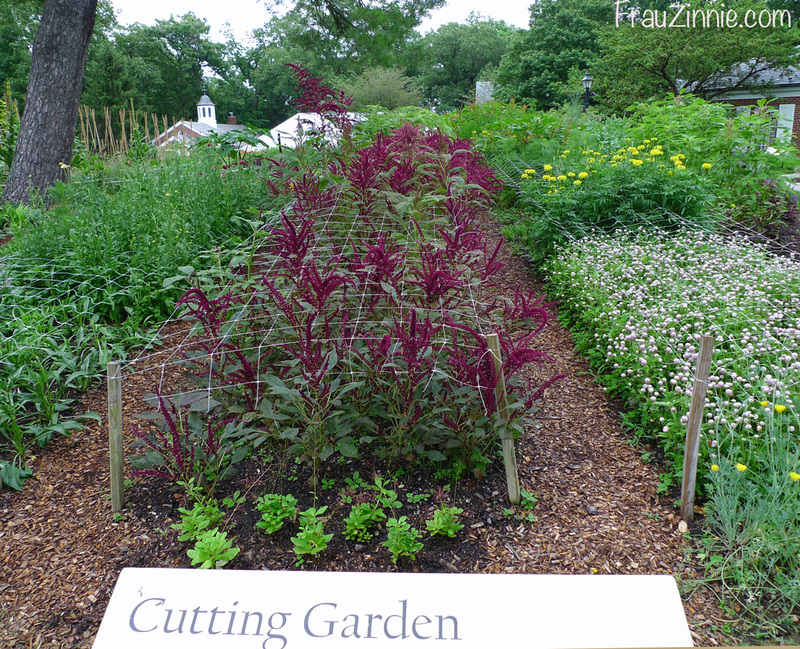 The Cutting Garden resembles the way it appeared during Post's time at Hillwood. Plantings include numerous plants, including snapdragons, chrysanthemums, zinnias and sweet peas — to name a few. The Cutting Garden originally provided flowers for arrangements inside the mansion for Post's enjoyment, and continues to be used for floral displays inside the mansion. 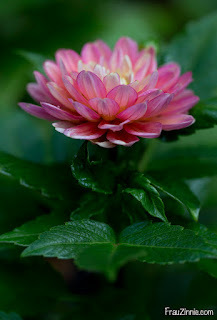 The flowers begin in May and provide a constant supply for arrangements from June through October. "Drew has done a tremendous job," Barr said. 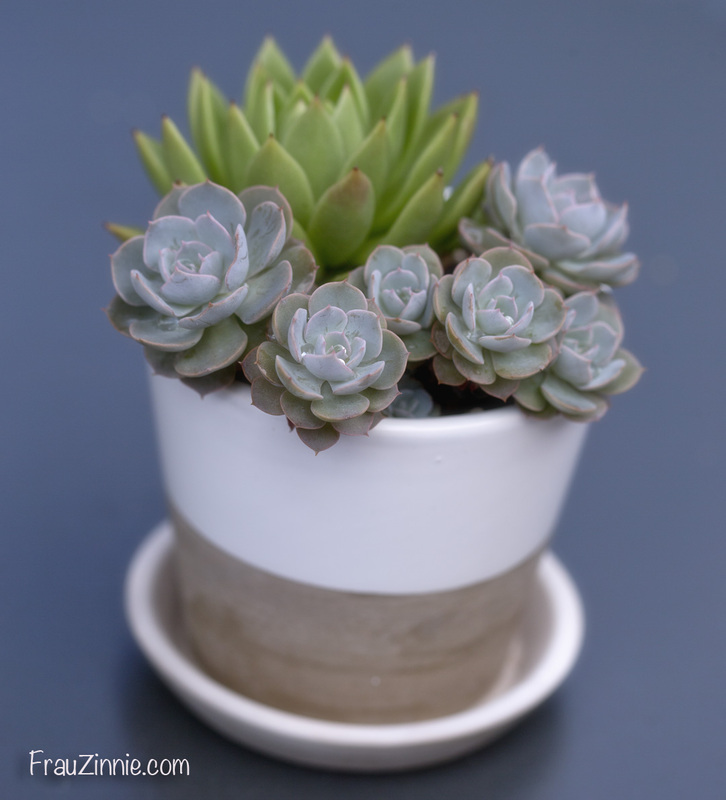 "Jessica supports him with other gardeners coming in to help." To get the most out of the Cutting Garden each year, Asbury starts with compost. Since the gardens constantly change, a heavy dose of compost (made at Hillwood) is applied to the cutting garden each year. Wood chips are placed on the paths to make walking through the garden easier. Hillwood has an impressive volunteer staff who also help in the garden. "Our volunteers are amazing — we have close to 100," Barr said. Garden netting is used to keep plants upright as they grow. To view more photos from the Cutting Garden, click here. Great take on Hillwood, Jen! I like how you researched the back story from various sources at the Estate. And your pictures are superb. Thanks Pam! It was so nice to meet you in person as well! I'm preparing to write my own piece on Hillwood, so I'm looking at what others have written. 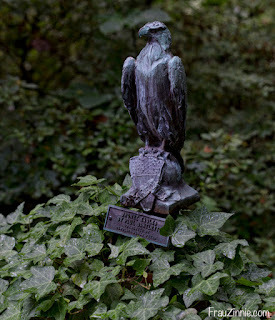 I liked your initial focus on the ivy, I missed that detail - makes your post more unique and personal. A very informative overview and fine photos.